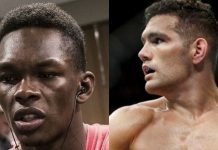 Former UFC middleweight champion Chris Weidman believes he should be the next man in line for reigning UFC middleweight champ Robert Whitaker. Weidman made his case for the next middleweight title shot on Monday’s edition of The MMA Hour. 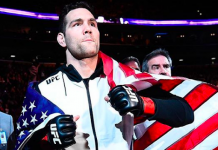 Weidman argued that his accolades as a former middleweight champ outweigh his recent losses, and make him the current frontrunner for the next shot. 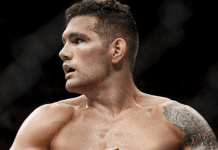 Weidman also reminded that he recently beat Kelvin Gastelum, the other man in the running for a middleweight title shot. 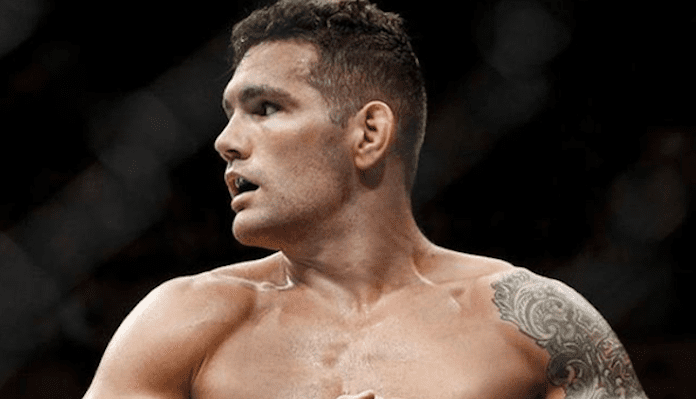 Do you think Chris Weidman deserves a middleweight title shot? 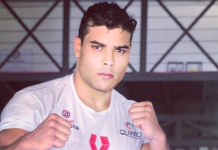 This article first appeared on BJPenn.com on 6/13/2018.